 Log In needed $549,000 · Room for the whole family! Nestled in the idyllic Wicks road, this split-entry home provides 2,878 sq ft with two separate accommodations. The main level offers 3 bedrooms, 2 bathrooms, living room with large stone feature fireplace wall, adjoining dining and kitchen with access to the large deck. The lower level has its own separate entrance at the back of the home. It has 1 bedroom, 1 bathroom, family room with brick feature wall with fireplace insert. The kitchen and dining room look out to the covered patio and there is dedicated storage room. The property features single carport with shed and plenty of paved area for RV or boat. 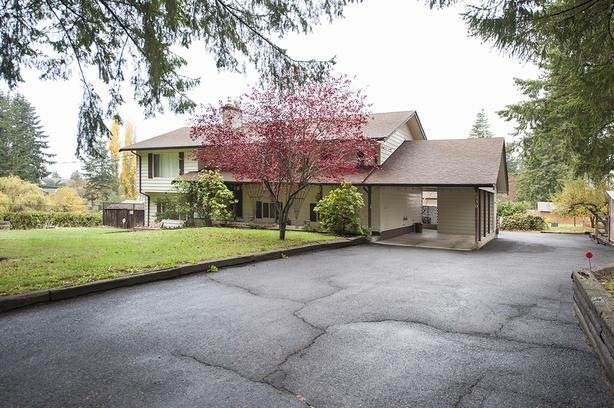 There is a detached garage/workshop, semi-detached sunroom and large fenced back yard.